B105 Presents the Country Christmas Ticket Party; Win Your Way In! It was fun to pay local listeners thousands of dollars with the Big Money Montage game, now it's time to give local listeners a trip, more cash, and a lot of awesome tickets at our party! We'll also give one lucky winner $500 to create their own fun and someone will score the grand prize trip from the Duluth International Airport! The trip is top secret right now, but we'll unveil all the details very soon. 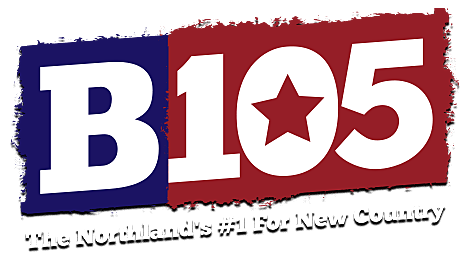 It's going to be a fun night with the best listeners in the Northland and the only way into the party is to win tickets by listening to B105. Just listen every weekday for several chances to win with a special party cue-to-call, including a chance to win tickets every hour with Ken and Lauren during The Breakfast Club. During the B105 Country Christmas Ticket Party, we'll provide you and your guest complimentary food and a drink and we'll have fun drawing for all the prizes. We hope you win your way in and we encourage everyone who does to dress in their festive holiday gear for party.